This is a copy of a paper that was published in Encyclopedia of White-Collar and Corporate Crime, Second Edition, edited by Lawrence M. Salinger. Sage, 2013. Also downloadable in pdf format. Please cite as: Deflem, Mathieu. 2013. "Wheeler, Stanton." Pp. 996-997 in Encyclopedia of White-Collar and Corporate Crime, Second Edition, edited by Lawrence M. Salinger. Thousand Oaks, CA: Sage Publications. Stanton Wheeler was born in California on September 27, 1930 and died in Connecticut on December 7, 2007. Upon graduating from Pomona College in 1952, he received a masters and a doctoral degree in sociology from the University of Washington in 1956 and 1958, respectively. He thereupon held academic positions at Harvard University, the University of Washington, the University of Oslo, the Russell Sage Foundation, and Yale University, where he became Professor of Law and Sociology in 1968. 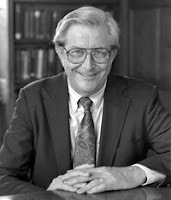 Following a two-year term as President of the Amateur Athletic Foundation of Los Angeles (1985-1987), he returned to Yale as the Ford Foundation Professor of Law and the Social Sciences until his retirement in 2002. A fan of music and sports throughout his life, Wheeler was an avid golfer and an accomplished trumpet player in several jazz bands. Wheeler’s scholarship was essentially geared towards the integration of social science and law. In that respect, he fulfilled an important role in the establishment of the sociology of law. As part of his professional activities, he also mentored many scholars and held a multitude of academic service positions in the field of law and society. The substantive interests of his research included delinquency, prisons, sports and law, music and law, and white-collar crime. In the area of white-collar crime, Wheeler is best known for his leading role in the Yale White-Collar Crime Project, a large-scale research enterprise first funded in 1976 by the Law Enforcement Assistance Administration in the U.S. Justice Department, an office that since 1979 was absorbed into the National Institute of Justice. Between the late 1970s and early 1990s, several dozen monographs, research articles, and doctoral dissertations were produced as a result of this research effort. The central goal of the Yale Project was to conduct research on the social control of white-collar crime on the basis of appropriate social-science methods. The white-collar offenses that were subject to analysis included securities fraud, antitrust offenses, bribery, bank embezzlement, mail and wire fraud, tax fraud, false claims and statements to the government, and credit fraud. The research at Yale revealed many insights on both the experiences of white-collar offenders as well as the conduct of the legal players in charge with their adjudication. The publications derived from the Yale project include two important monographs which Wheeler co-authored. The 1988 book Sitting in Judgment drew on the results of in-depth interviews to focus on the values of judges involved with sentencing white-collar criminals. Irrespective of formal rules, a judicial culture was found to exist that justified sentencing practices in terms of the societal harm caused by white-collar crime, the knowledge and intentions of the individual offenders, and the impact of the sentences judges impart upon offenders. Disparities in sentencing outcomes were nonetheless discovered as well because of differences in specifying general principles in concrete cases. The 1991 monograph Crimes of the Middle Class was an important study because it showed that, contrary to popular belief, many white-collar criminals are not drawn from the very rich, upper classes, but tend to be members of the middle class who are not financially well-off. Analysis of U.S. federal court data revealed that the relatively ordinary people who commit white-collar crimes enjoy access to certain resources that relate to their position in organizational settings. Thus, not economic but organizational standing serves as a weapon in white-collar crime. The study also found that white-collar criminals are generally punished less severely than are common criminals even though the same formal legal rules of responsibility and guilt apply. White-collar criminals tend to receive fines or prison sentences of shorter duration than common-crime offenders. The Yale White-Collar Crime Project and the efforts of Stan Wheeler therein remain influential until this day, both because of the insights revealed about the complexities of white-collar crime as well as because of the contribution offered to the development of the sociology of law and, especially, the effort to bridge social science, law, and social policy. Centered on the beliefs and practices of white-collar offenders and relevant judges, rather than being concerned merely with the formal rules of law, Wheeler’s work has contributed critically to a truly sociological understanding of white-collar crime and its control. Weisburd, David, Stanton Wheeler, Elin Waring, and Nancy Bode. Crimes of the Middle Classes: White-Collar Offenders in the Federal Courts. New Haven, CT: Yale University Press, 1991. Wheeler, Stanton, and Mitchell Lewis Rothman. “The Organization as Weapon in White-Collar Crime.” Michigan Law Review, v.80 (1982). Wheeler, Stanton, David Weisburd, and Nancy Bode. “Sentencing the White-Collar Offender: Rhetoric and Reality.” American Sociological Review, v.47 (1982). Wheeler, Stanton, Kenneth Mann, and Austin Sarat. Sitting in Judgment: The Sentencing of White-Collar Criminals. New Haven, CT: Yale University Press, 1988. Wheeler, Stanton. “The Prospects for Large-Scale Collaborative Research: Revisiting the Yale White-Collar Crime Research Program.” Law & Social Inquiry, v. 18 (1993). See related writings on crime and criminal justice.